Polaris Electronics A/S is happy to announce the official launch of SAILOR 4300 L-band, a brand new, state-of-the-art terminal for Iridium CertusSM. The first customer shipment is expected in May. Please contact us for airtime solutions. Iridium CertusSM is a new portfolio of global satellite services powered by Iridium® NEXT, which features a cross-linked Low-Earth Orbit (LEO) architecture to provide 100% coverage over the earth’s surface. With SAILOR 4300 providing the on board link, maritime users are guaranteed high bandwidth IP connectivity and three high-quality voice lines for global calling wherever they are in the world. 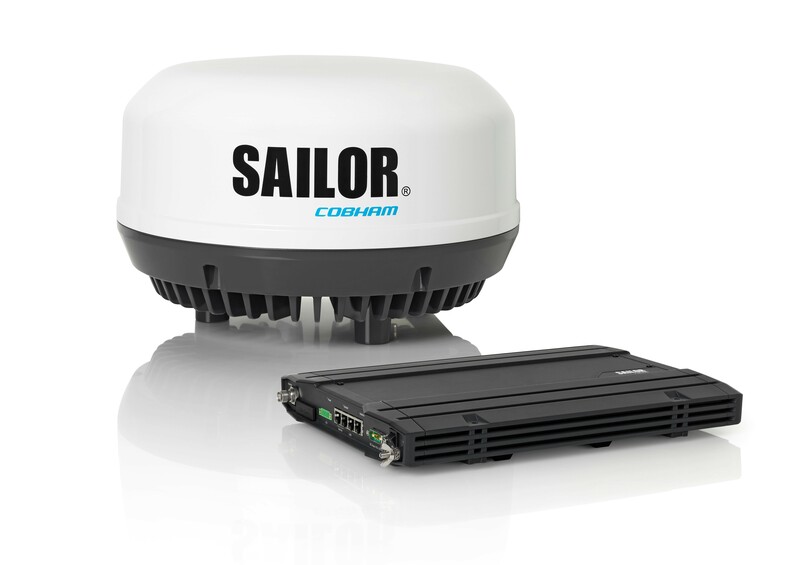 The SAILOR 4300 is offering a highly reliable link over the Iridium® NEXT satellite network with speeds suitable for data-heavy applications. Due to the fact that the Iridium® NEXT network is not 100% complete, SAILOR 4300 L-Band will enable speeds up to 352/176 Kbps at first, but as more satellites come online, it will be able to provide leading L-Band throughput of 704 Kbps. Like all Cobham SATCOM maritime antenna systems, SAILOR 4300 is designed to withstand the harshest environments at sea. The SAILOR 4300 is built to high quality standards, so there is no scheduled service interval and is designed for no maintenance for at least 10 years after installation.